Anybody who have been to Vegas in summer knows that it's too damn' hot! Actually, it's always hot in Las Vegas all year long! Many swimming pools everywhere in each hotel , but, since the closing of Wet and Wild in 2004, something was missing: a great themed water park! 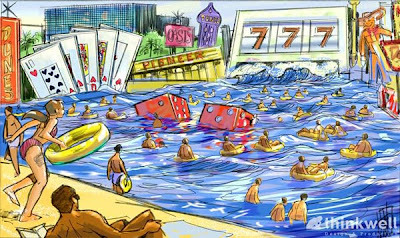 And this is probably why the future Las Vegas WET water park will be welcome by everybody. Designed by Thinkwell Co, the 25 acres water park is just a small part of the whole project that will include themed hotels, the largest indoor snow dome in North America where guests can ski and snowboard down man-made snow on a variety of slopes encompassing roughly 150,000 square feet, A snow play area will be provided for children, An ice rink for skating and hockey, a 60 acre Internationally Recognized Theme Park Brand, a sports arena, a performing arts center, a nightly spectacular show of water, lighting and pyrotechnics that is all set to a musical score replete with live performers, and of course - let's not forget we are in Vegas - the inevitable casino. 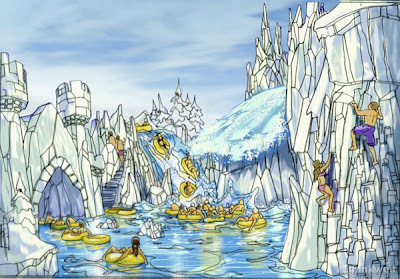 "At this water park, a variety of themed “lands” await guests with the most innovative and thrilling water-based rides and attractions available anywhere in the world. You can take it easy, spending a leisurely day floating down an exotic river. Or you can throw all caution to the wind, shooting through a retro modern conveyance tube. The Project can be a riotous and wet fun-fest, a relaxing and sensual delight, or a whole lotta both! 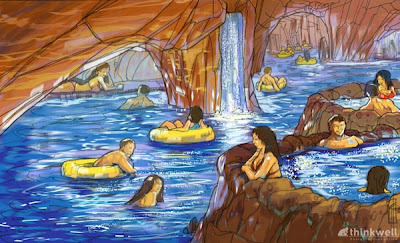 There are many ways to get around and explore the fun of The Project, but certainly the most intriguing mode of transportation is the Endless River; a state-of-the- art high capacity water system that begins in Luxe Lagoon and winds its way through the entire water park (except the Hidden Riviera). 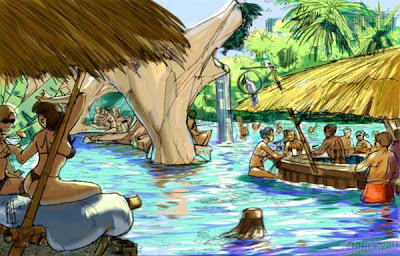 Guests float on inner tubes, rafts, and even covered "mini-cabanas" from one destination to another. But the river's most stunning feature is that it unites the park and effectively eliminates lines. 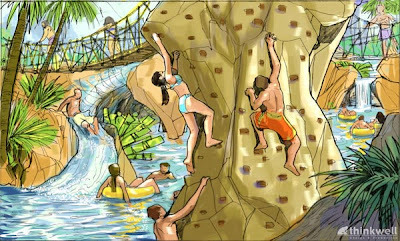 Unlike traditional "lazy rivers" at other water parks, guests have a wide selection of river experiences such as slow-moving currents, whitewater rapids, or even detours through tube chutes, and Master Blaster style uphill water coasters. The whole park is one giant water ride! Combining the stunningly colorful geological formations of Valley of Fire and Bryce Canyon National Park, with invigorating water slides and swirling pools, this refreshing indoor/outdoor oasis is no mirage. Relax in a private cabana, swing lazily in a hammock, or explore incredible indoor grottos with azure pools and spectacular waterfalls. Dive into your very own tropical playground right on the Las Vegas Strip! Here guests will find lushly shaded beaches, soothing pools, and tempting water adventures, all with a South Seas twist. From the actively competitive to the avid spectator, there is plenty of water fun to be had here. * Slides wind around and through casino signage — The Sands, The Mint, The Dunes, etc. This 21-and-over section of The Project is for the adventurous yet refined guest who would like to explore the slightly wild side of things in a safe and classy environment. Guests will access this exclusive European-style pool and sunning area via a completely separate entrance gate. Offerings include a beautiful private beach, luxurious pools and hot tubs, a fine restaurant, bar, and dance club, so that visitors can indulge all their senses by sampling epicurean delights, exotic libations, and other equally stimulating activities. * Of course, no cameras or cell phones allowed"
Well, it looks a pretty cool project, isn't it? And the Thinkwell design - let's remember that the Thinkwell co is designing theme park and attractions all over the world - should be impressive when the park will open. And what ever you will do in the jacuzzis, remember the famous quote: "What happens in Vegas stays in Vegas!" What a wonderful blog, I love it. How did they make ToonTown, what is it made out of? 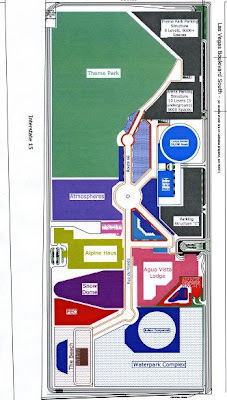 So, are there any or at least one water park/parks in the area? 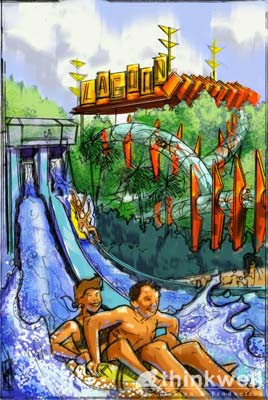 We know that Wet and Wild is closed and need to find another? Thanks and can't wait for the Disney one to open! when will this dianey Water Park be completed? sorry - DISNEY NOT "Dianey"
The website currently says 2012, but given the state of so many Vegas projects, you just never know. Hi I'm Mike. Anyone into excise dispute coins? If you don't certain thither the challenge it's like this: The tradition of a doubt is the most simple way to ensure that members are carrying their unit's coin. The rules of a call out are not in any case formalized in spite of a segment, and may reshape between organizations. The contest just applies to those members that must been delineated a make up formally by means of their unit. This may guide to some dispute when challenges are initiated between members of various organizations and is not recommended. The ritual of the concoct challenge is meant to be a origin of morale in a module, and forcing the call into doubt can induce a abandon effect.